Mr. Pate is the senior partner of Pate and Knott, Attorneys at Law, and has been engaged in the practice of law since 1979. His practice is focused in the areas of domestic litigation, including divorces, child custody, child support, paternity actions, and civil litigation, personal injury cases, criminal law, and juvenile law. 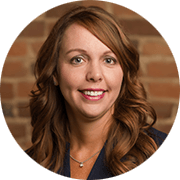 Ms. Knott is the managing partner of Pate and Knott, Attorneys at Law, and has been engaged in the practice of law since 2003. Her practice is focused in domestic litigation, including divorces, child custody, child support, paternity actions, civil litigation, and personal injury cases, and mediation. With more than 50 years of combined legal experience, the attorneys at Pate & Knott focus on a broad range of legal specialties in order to provide comprehensive legal services to the local community. From family law matters including divorce, child custody and paternity actions to child support and adoption, our team handles all your family law needs with compassion. We also handle personal injury cases, representing victims injured in auto, truck or motorcycle accidents, or injury caused by third party's negligence. Our firm also provides strong criminal defense strategies, successfully representing clients facing all types of criminal charges, including DUI, drug possession or trafficking, theft and probation violations. At Pate & Knott, we know the need to hire an attorney usually arises out of an unexpected crisis or accident. You need an attorney you can trust, who will compassionately listen and firmly represent you through the challenges you face, whether it's a family dispute, criminal defense matter or a personal injury claim. WHY HIRE THE LAW FIRM OF PATE & KNOTT? We have more than 50 years of combined experience in a number of practice areas, with a primary focus on family law. Our years of experience handling hundreds of cases provides us with a depth and breadth of knowledge and case success that is invaluable. We have a long history of effectively guiding clients through the complex legal system, developing reliable strategies and resolving their legal challenges along the way. We enjoy a reputation for success throughout our community and throughout Tennessee. Every member of the team strives to develop long-lasting relationships with clients, becoming their go-to source for reliable legal counsel, no matter what the need may be. We are proud to have a strong base of client referrals and consider it the highest form of praise. Our responsiveness to client needs is unsurpassed. We have the knowledge and resources to respond to your legal needs quickly and confidently. From family law and mediation to criminal defense and personal injury, you will be working with a team of attorneys with the single focus of protecting your interests and fighting for your rights. All calls are returned quickly and clients speak with attorneys directly. 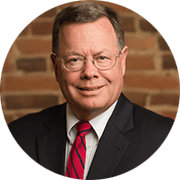 With more than 50 years of combined experience, our attorneys have done extensive appellate work in the Court of Appeals, Court of Criminal Appeals and Tennessee Supreme Court. As a result, case law has changed and new legal precedents have been set.